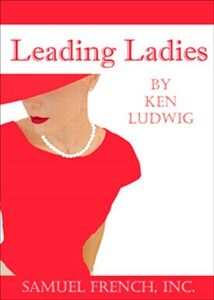 Tickets are still available for the MMCC Theatre production of “Leading Ladies” by Ken Ludwig. In this uproarious comedy by Ludwig, who also wrote “Lend Me A Tenor” and “Moon Over Buffalo,” two English Shakespearean actors, Jack and Leo, find themselves so down on their luck that they are performing “Scenes from Shakespeare” on the Moose Lodge circuit in the Amish country of Pennsylvania. When they hear that an old lady in York, PA is about to die and leave her fortune to her two long lost English nephews, they resolve to pass themselves off as her beloved relatives and get the cash. Romantic entanglements abound, and comedy ensues as the pair attempt to impersonate the relatives. All performances will take place in MMCC’s Auditorium on the Harrison Campus. Matinee performances are 2 p.m. on April 14, 16, 21 and 23, with an optional luncheon at noon. Prices are $22 for the luncheon and show or $10 for the show only. Luncheon tickets must be purchased in advance. Call (989) 386-6632 or email ykeast@midmich.edu to reserve a luncheon seat. Evening performances are scheduled for 7 p.m. April 24 and 25. Prices are $10 for adults and $5 for children 12 years of age and under. Tickets are on sale in the MMCC Bookstore on the Harrison campus. For credit card orders call (989) 386-6640 during regular Bookstore hours: 8 a.m. to 6 p.m. Monday through Thursday and 8 a.m. to 3 p.m. on Fridays. Tickets also will be on sale at the door.